At Regal Inspection, Bill Gray is the king of home inspectors, but it’s you who receives the royal treatment. We go out of our way to deliver quality inspection services and customer service that’s fit for a king or queen. We’re always available to answer your questions, even after you’ve closed on your home. When you need a home inspector, call us at Regal Inspection to be treated like royalty! All home buyers, home sellers, real estate agents, and home insurance agents in South Florida — Broward, Palm Beach, and Martin County — can benefit from our professional services. When you need a home inspector, call us at Regal Inspection to be treated like royalty! We’ve been involved in the real estate industry since 2001. That experience has given us the breadth of knowledge required to understand residential homes inside and out. Before opening Regal Inspection, Bill worked for two years as an assistant to a home inspector, starting in 2009. That experience helped him realize that the business required equal parts technical perfectionism and unparalleled customer service. 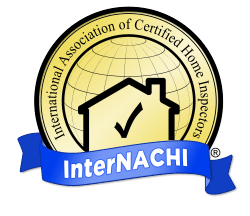 Regal Inspection uses only InterNACHI-certified home inspectors. InterNACHI members maintain the highest Standards of Practice and Code of Ethics. With the InterNACHI “Home Buy-Back Guarantee,” you can put your trust in our home inspection services. 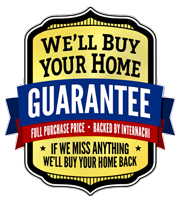 This guarantee, valid until 90 days after your closing, states that if we miss anything, we’ll buy your home for what you paid for it. Contact Regal Inspection for your complete home inspection! We’ve been in South Florida since 1988, so we’ve seen the changes the years have brought to the real estate market. It’s more important than ever to get your home inspected by a trustworthy professional. Trust Regal Inspection to deliver the services and advice you need to feel secure in your castle. We live and work locally. We follow the South Florida sports teams and do all we can to support the local community. Keep your dollars local by hiring a local home inspector.